suji rusk | eggless suji rusk recipe | homemade semolina rusk with step wise pictorial and video method are not just egg free but they are also maida free, which makes them more healthy. suji rusk are made of Semolina or Suji which is a coarsely ground grain well known for its great taste and lovely texture. The dishes made up of suji are good for consuming even during night because suji is considered as very light. Suji is digested very slowly so it keeps you full for a longer period of time and prevents you from overeating and as a result helps in loosing weight at the earliest. Being an energy booster, it keeps your body charged throughout the day. It keeps our bones healthy and strong and increases bone density. Suji is having lots of selenium, so it helps in preventing infections. It also keep our heart healthy. Also being a great source of iron, it prevents anemia. After reading so many health benefits of suji or semolina, we are sure that you are definitely going to add suji in your daily food. If so, then this most easy and basic recipe of suji Rusk must be in your to do list. Yes, this is admitted that the recipe is time taking, but, the fact is, that this is only due to fermentation process. Otherwise, you have to put very rare hardship into making this suji rusks. 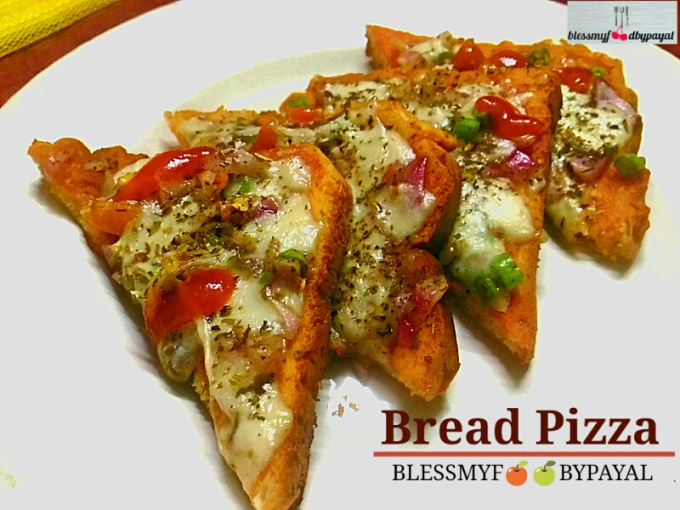 Also have a look at another recipe Rava toast and Suji paratha in this blog. 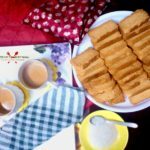 Rusk is a well known tea time snack and this one is eggless and maida free. In a wide bowl, add suji, whole wheat flour, milk powder, sugar, salt, oil, fennel powder and dry yeast. (Here we are using instant yeast which needs no prior activation). Mix all the ingredients first and then with the help of water, start kneading the dough. Knead the dough for at least 12 to 15 minutes continuously and the dough should neither be soft nor hard. Cover the bowl with cling film and place the bowl at some warm place till the dough doubles. With the help of fingers, punch the dough to release its air and then sprinkle fennel seeds. Again knead the dough, but this time only for a minute or two, until fennel seeds are indulged thoroughly in entire dough. Take a baking tin and grease it with oil. Spread the dough in baking tin evenly. Cover the tin with some kitchen towel and place it at some warm place for second rising of dough. Now give a milk wash to the upper surface of dough and place in the preheated oven @ 220° for 20 minutes or till nice brown on top is achieved. Bring the tin out of the oven and keep on the wire rack to cool completely. Invert the bread in some plate for cutting. Cut the suji bread into slices in the shape of rusks in desired size. Arrange all slices on baking sheet already lined with parchment paper. Bake again @ 150°C for 20 min and then @ 220°C for 5-7 minutes or until the slices turn nice golden brown. Bring the baking tray out and let the slices turn completely cool. Your suji rusk are ready. Keep them in airtight container. 1. In a wide bowl, add suji, whole wheat flour, milk powder, sugar, salt, oil, fennel powder and dry yeast. 2. Mix all the ingredients first and then with the help of water, start kneading the dough. 3. Knead the dough for at least 12 to 15 minutes continuously and the dough should neither be soft nor hard. 4. Cover the bowl with cling film and place the bowl at some warm place till the dough doubles. 5. With the help of fingers, punch the dough to release its air and then sprinkle fennel seeds. 6. Again knead the dough, but this time only for a minute or two, until fennel seeds are indulged thoroughly in entire dough. 7. Take a baking tin and grease it with oil. 8. Spread the dough in baking tin evenly. 9. Cover the tin with some kitchen towel and place it at some warm place for second rising of dough. 10. Now give a milk wash to the upper surface of dough and place in the preheated oven @ 220° for 20 minutes or till nice brown on top is achieved. 11. Bring the tin out of the oven and keep on the wire rack to cool completely. 12. Invert the bread in some plate for cutting. 13. Cut the suji bread into slices in the shape of rusks in desired size. (Keep all the slices thin and uniform in size. Otherwise they will take different timings for getting baked and as such you may come up with uncommon results). 14. Arrange all slices on baking sheet already lined with parchment paper. 15. Bake again @ 150°C for 20 min and then @ 220°C for 5-7 minutes or until the slices turn nice golden brown. 16. Bring the baking tray out and let the slices turn completely cool. Your suji rusk are ready. Keep them in airtight container and enjoy with masala chai as and when desire. * Instead of whole wheat flour, you can add all purpose flour also. 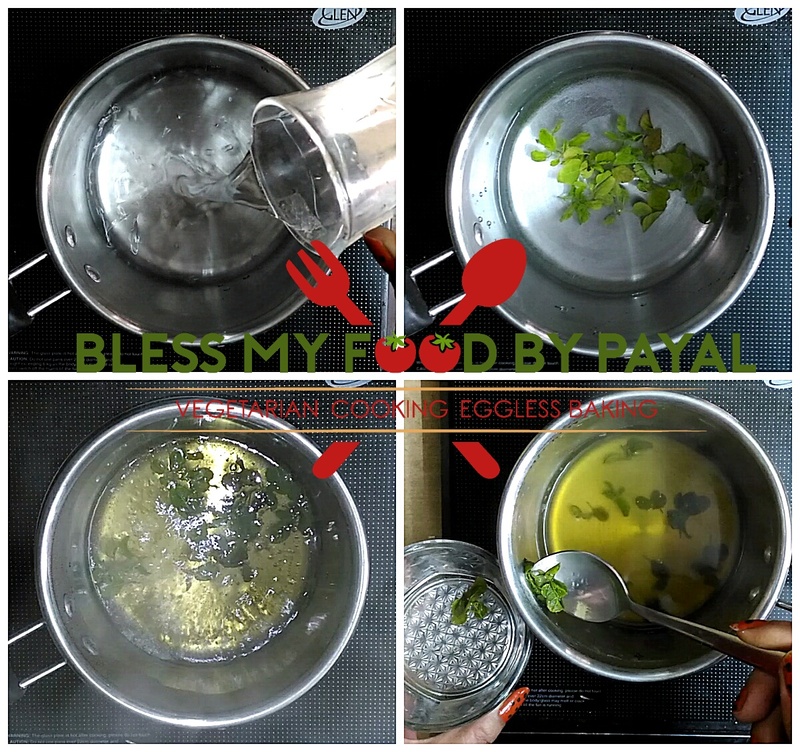 * For giving a wash to the dough, you can also use eggs in place of milk. * For a good textured rusks, cut the suji bread only when it turns completely cool. * As every oven is different, so keep eyes on rusks while baking, especially at the last stage when they are being baked at high temperature for getting nice golden brown color. Otherwise they may get burnt and all your hard work will go fruitless. Its Bawasons dry instant yeast.